With "The Prince," Machiavelli made his name synonymous with intrigue and cunning for all time. His instructions to the Prince, on achieving and maintaining power, by any and all means available, became the archetypical philosophy of 'The Ends Justify The Means'. Machiavelli advocated that political expediency supersedes morality and that success, by any means, is its own justification. His cold, calculating logic sweeps aside and dismisses all arguments against the use of every manner of deceit and dishonesty for a ruler to achieve his ends on the basis that those ends, once achieved, are, in themselves, sufficient justification. Not only does Machiavelli make philosophical arguments for his viewpoint, he gives numerous practical examples of behavior, which are generally considered to be both ruthless and invariably successful. For nearly 500 years, politicians of all stripes have found that in ignoring Machiavelli's views they become easy prey to those who are willing to employ Machiavellian methods. 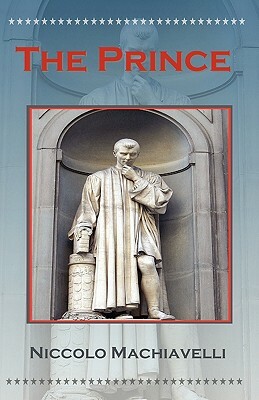 Machiavelli is considered by many to be the Father of Modern Political Theory. His influence has been immense and his writings, particularly "The Prince," will undoubtedly continue to influence many generations to come.